There’s little doubt that Billy Wilder is one of the most gifted film-makers of the 20th century. Some Like It Hot, Double Indemnity, Stalag 17, Sabrina, The Seven Year Itch and Sunset Boulevard are just some of his celebrated films. Like many directors, he seemed to enjoy working with familiar faces, stars he knew from previous projects. In 1960 he made The Apartment with Jack Lemmon and Shirley MacLaine; for some, it’s the greatest movie Wilder ever made. 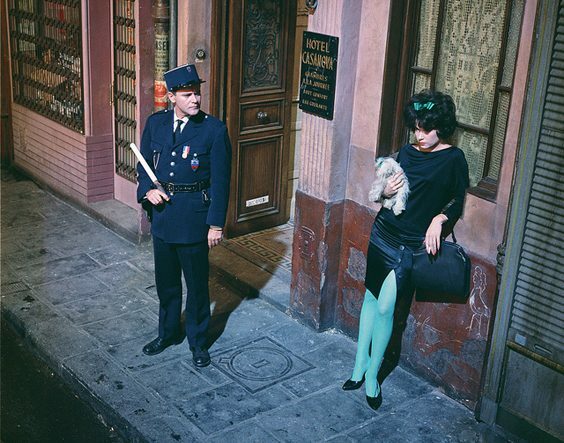 He re-teamed with the same duo three years later for Irma La Douce, which was based on a French stage musical. However, Wilder dumped the songs, preferring to adapt the tale as a more straightforward romantic comedy with a script by his regular writing partner IAL Diamond. However, it does feature a delightful score by the late lamented Andre Previn. Lemmon plays Nestor Patou, a pedantic, strait-laced police officer recently given a beat in Paris’s red light district, where the authorities have turned a blind eye to the lawless goings-on for years, even enjoying the company of the local ladies of the night themselves. Nestor naively shakes things up by raiding a hotel used by the prostitutes, arresting various officials in the process. As a result, Nestor loses his job. He does, however, win the affections of Irma (MacLaine) and sets about trying to steer her away from her job via a ridiculously complex lie which involves him masquerading as a wealthy English aristocrat. What ensues is pure farce and there are some laughs along the way, but probably not enough to sustain the rather lengthy 147-minute running time. Having said that, Lemmon and MacLaine are wonderful in their lead roles. 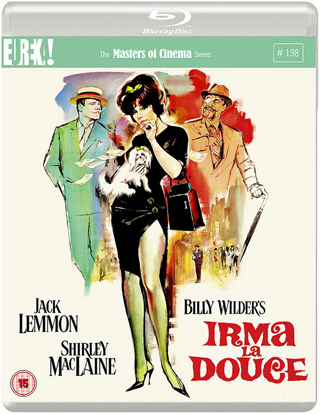 Interestingly, Wilder had originally considered Marilyn Monroe for the part of Irma, despite the difficulties he faced with her wild making The Seven Year Itch and Some Like It Hot, but after her death was forced to turn elsewhere. The chemistry between the stars demonstrated in The Apartment is visible again here, although the movie itself isn’t in the same league. Having said that, even a second-rate Wilder production is better than the finest work of many other directors. The disc features several special features, including a variety of audio commentaries and a rather dry interview with film historian Neil Sinyard.